As much as I gripe about it, I’m enjoying Battlefield 5. One thing I especially like is that EA has ditched the season pass model and is releasing new maps for free. Even better, the first big update has dropped what’s immediately my favorite BF5 map: Panzerstorm. I’m annoyed that DICE isn’t running any 24/7 Panzerstorm servers (that I can find), as would be customary in many community-run servers when a new map releases. The only way to play it is to find a server that happens to have landed on it, queue up, and hope the match isn’t over by the time you join—or just wait for a server to roll around to it. 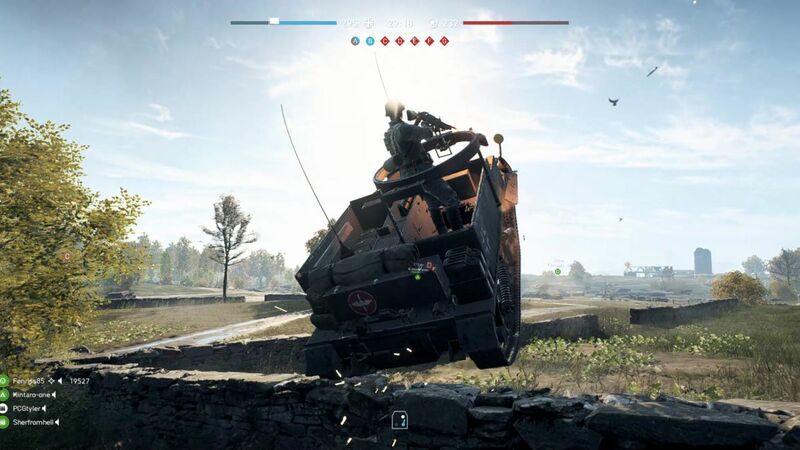 That annoyance aside, Panzerstorm brings me back to the old Battlefield days I was pining for as recently as, oh, yesterday: wide open fields and lots of vehicles. As opposed to my subject in that article, Devastation, which funnels everyone into a central cathedral, every point on Panzerstorm changed hands over the course of one match, and none felt much more important than the others. Because of that, there were a lot of ways to be helpful: At one point I drove a tank, at another I was top machine gunner on one (they can duck now, thank goodness), later I lugged a machine gun up a church tower (and then someone blew it up), and for a while I found a nice hilltop from which to spot enemies through my scope (known as ‘actually being a useful Scout player’). To me, the less ‘designed’ a Battlefield map feels, the better it is (though I know the same level of design work goes into a map regardless of how it feels). I like them when they’re like Tribes maps: lots of space to get lost in and not very many buildings. There’s more character to each life, too. Contesting indestructible landmarks with clear lanes and flanks feels like ‘playing an FPS,’ whereas Panzerstorm is more warlike and less predictable, with fewer repeated moments and no long sequences where everyone’s throwing their bodies down the same chokepoints. I like that a little church can briefly become a hotspot before being blown up, never to be revisited. There’s a lot more than Panzerstorm in Battlefield 5’s Overture Update—it adds a new singleplayer War Story and a bunch of balance changes, too—and you can read the full update notes here. It’s a big one, so expect a somewhat lengthy download. Worth it for the tanks, though.